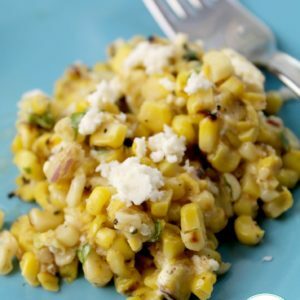 This Southwestern Grilled Corn Mix is a fan favorite. Walk with me as I tell you how this Southwestern Grilled Corn came about! One of my favorite things about recipes is the stories behind them. I know not a lot of people really care or take the time to read the stories, but, it’s something that I love to write about, even if it gets skipped over. When I’m visiting fellow recipe bloggers sites I love to take the time to read their story as well! You’ll probably scroll immediately to the bottom of this page to just grab the recipe and that’s alright. I’m helping to put you into the kitchen and around the table together again. And frankly, that’s what I’m passionate about! However, if you have a few moments I’d love for you to stick around and find out how this Southwestern Grilled Corn Mix came about. My kids and Hubby have never flown. That’s what they’ve wanted to do for the past two years. Now, I’ve always wanted to go to Texas and so I put two and two together. We loaded up on a airplane and landed in Austin. Our first restaurant we enjoyed was the Austin Taco Project. I fell in LOVE with the Poutine and then enjoyed this MXN Street Corn. I knew I had to recreate this recipe when I came home and make it mine! Now the restaurant uses Duke Mayo, but, I haven’t been able to find that here in Cincinnati. So, instead, I opted for a good Chipolte Mayo. 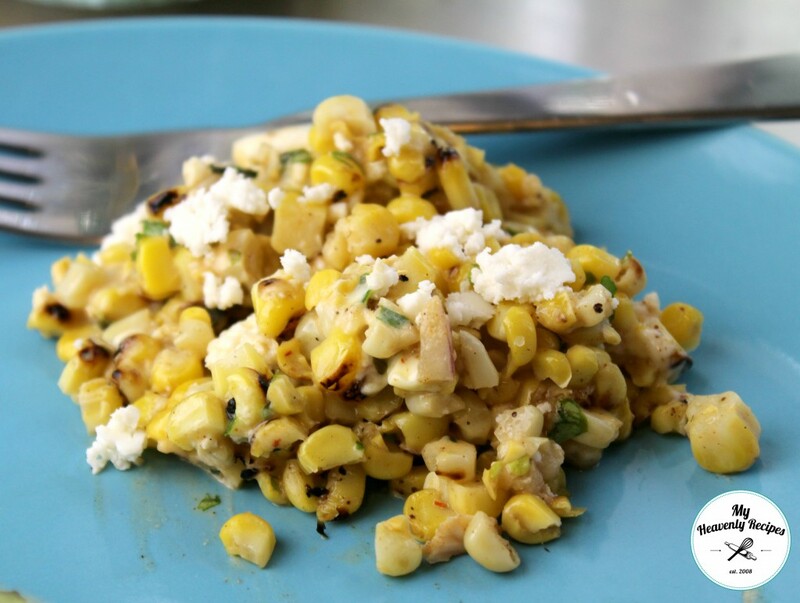 The spiciness is what makes this Southwestern Grilled Corn Mix Recipe. I will say, you can make this recipe a little quicker my using frozen corn and not grilling it. 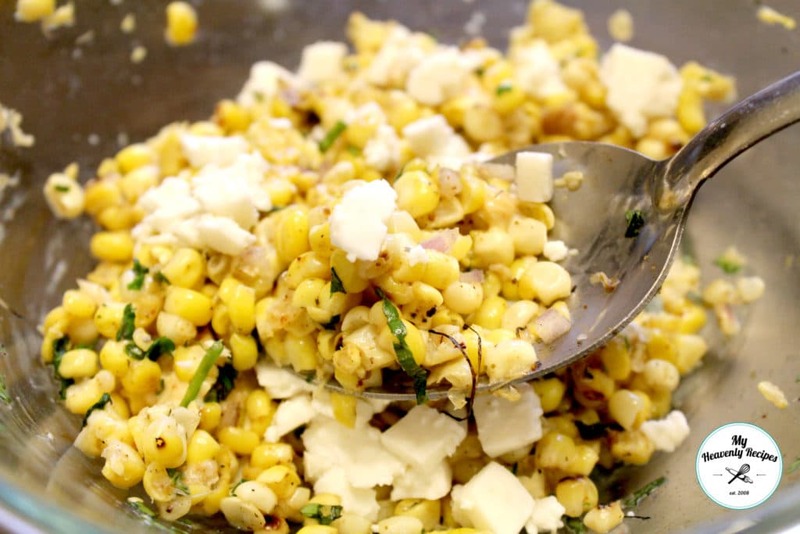 I can't get enough of this Southwestern Grilled Corn Mix recipe. It comes together quickly and made with items that are staples in our home. Spray earns of corn with olive oil and Chipotle Seasoning, place on hot grill. Cook corn for 8-10 minutes until corn is heated and has a few char marks on all sides. Using the Kernel Cutter remove kernels. Place in bowl and mix with butter, mayo, cilantro and red onion. This sounds SO good! 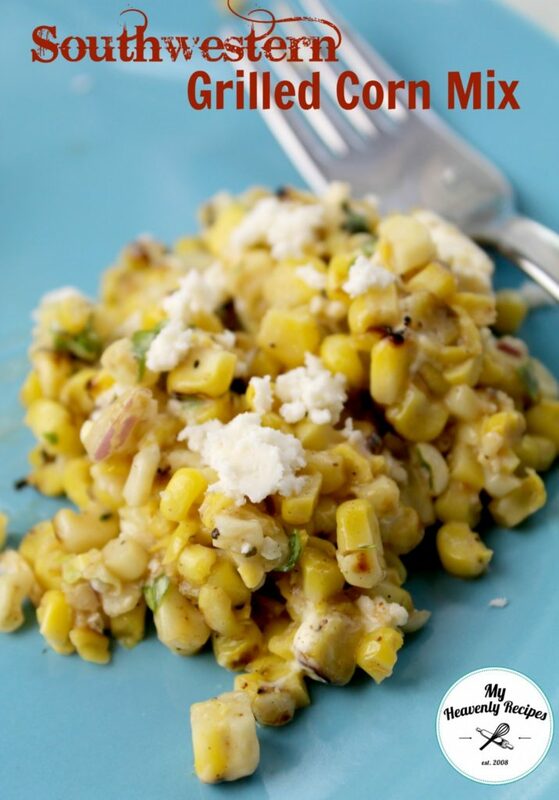 I’ve gotta try it this summer 🙂 Thanks for linking up with Merry Monday this week; I’ll be featuring your grilled corn at our next party this Sunday night. Hope you’ll link up with us again! Grilling outside this time of year is brutal because of the insane humidity so we cheat…we use a cast iron grill/griddle on the stove top with the exhaust vent on high. A new trick I just read about says keeping a bowl of vinegar near the stove gets rid of the smell, I haven’t tried it but it can’t hurt!! I’m guessing a cup of vinegar (white) would be enough. Never heard of that before! I love cooking outside in Cincinnati as much as I can. We camp and it’s just something I enjoy…I know, mark me down as a weirdo! Awww yay! Thank you so much. Cheers!